It’s a phase that suggests it’s impossible to change who we are no matter how hard we try. As a coach I believe that we can all change if we have the incentive to do so. Take for example, Peter an uber driver who has tried unsuccessfully to give up smoking for 18 years. Yet he was able to give up immediately after seeing his two year old son mimic him smoking. This story is a powerful example of what can be achieved when our current thinking is challenged in a way that invites new possibilities and alternative options. Unfortunately, many of us are not taught how to think and you probably spend very little time reflecting on the way you think. That’s why we start all our programs with how you think. 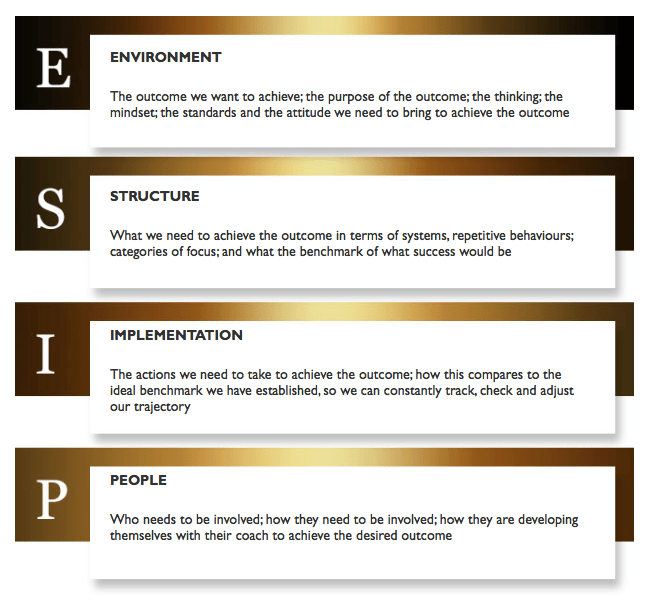 We introduce your team to a proven four dimensional thinking model to first benchmark their thinking and behaviour. We then identify where the gaps lie and we utilise a range of tools and group work to shift attitudes and facilitate the desired behavioural change. Incorporate coaching to address groupthink behaviour and leadership reliance to create a solution driven and outcome based team. Utilise behavioural profiling tools to resolve underlying conflict and strengthen existing relationships to unlock team and individual potential. Invest in team training and workshops to build and foster a culture of mutual trust, respect and accountability that inspires greater team colloboration. Carla Egan is a behavioural profiler, coach and facilitator and has spent the majority of her career leading individuals and teams through small and significant change. Carla commenced her business from a genuine passion of wanting to assist leaders successfully navigate their teams through change. “I have always believed that the best people want to excel in work which means they also want to hang out with other high performers. Your culture is a business asset that deserves your attention and investment”. We are passionate about working with leaders and their teams who are committed to building a great business and team. We would be delighted to explore where our range of services and tools can potentially add value to you and your team. Sometimes we meet people who behave in a weird way that can be difficult to understand. How can we interpret and influence their behaviour when we don’t understand it? One of the most important skills I have learned is the ability to identify and understand people’s motives and behaviour. If you’re interested in understanding people’s behaviour, look no further. Sign up and every few weeks we send out info with new articles and exclusive content for readers. It’s basically our way of keeping in touch and letting you know what’s going on in the world of team development, leadership and human behaviour.